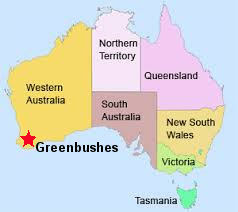 A suite of samples was collected from the greenbushes pegmatite mine which produces tin, tantalum and some Li-spodumene from near the town of Greenbushes, about 80 Km SE of Perth in South-west Western Australia. 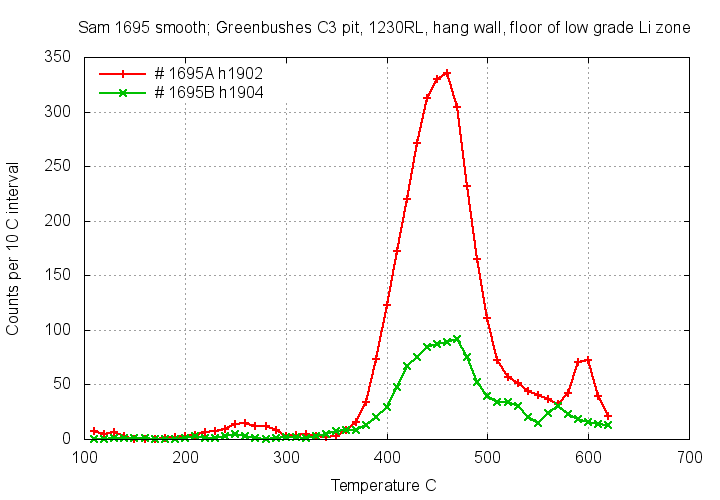 Samples from Greenbushes show only low to moderate intensity of decrepitation and only rarely show low temperature decrepitation below 350 C, indicating the absence of CO2 rich fluids. 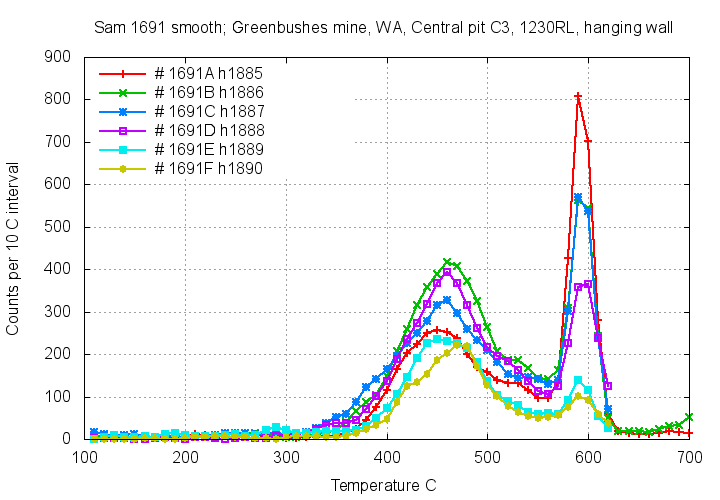 There are minor changes in the shapes of the decrepitation peak at 450 C but it is not possible to determine the exploration significance (if any), of these variations based on the limited number of samples in this study. Samples of beryl do show decrepitation and also the presence of traces of CO2 rich fluid. 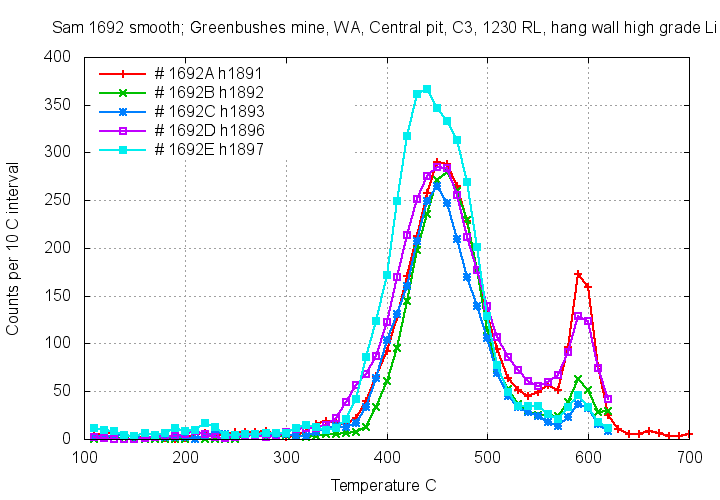 Moderate intensity of decrepitation, with no low temperature peak and hence no CO2 rich inclusions. 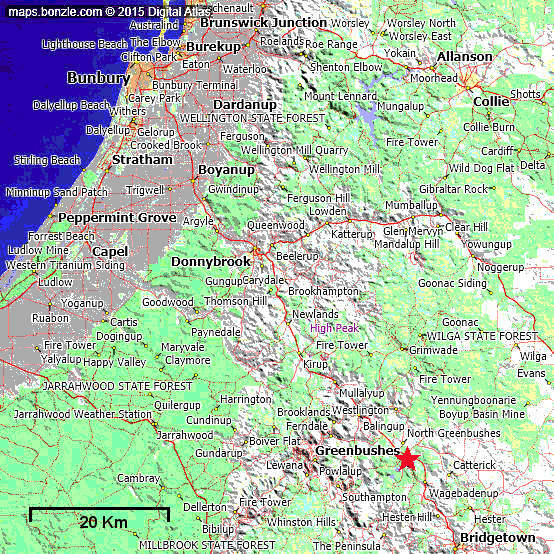 The differences between these samples probably reflect zonal differences in the pegmatite at this location. 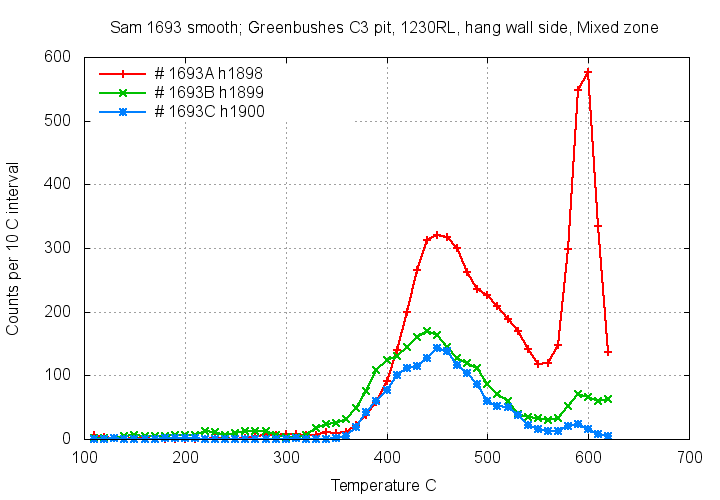 Only sample 1695A (red) shows low temperature decrepitation at 250 C indicating the presence of a minor amount of CO2 rich fluids. 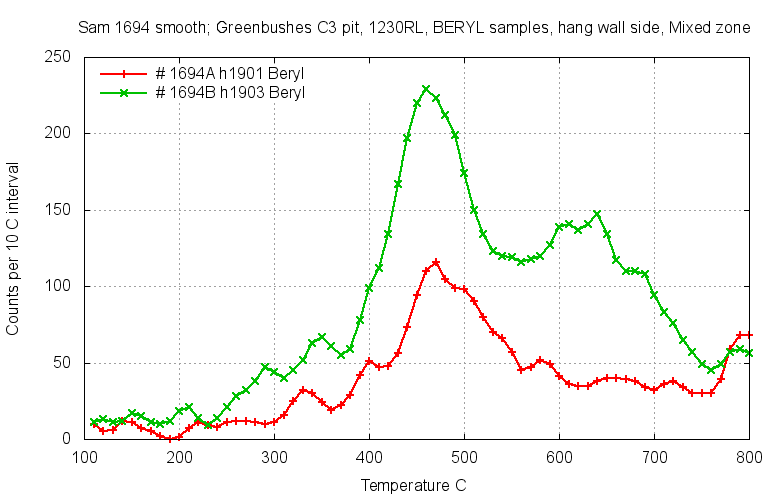 Although beryl samples show only weak decrepitation, the decrepitation below 300 C shows that the fluids contained low levels of CO2.